Fees for the most popular currency pairs got reduced and these is definitely good news. Also TransferWise team decided to change structure of the fee itself. The minimal fee got removed so that smaller payments become a bit cheaper. Also there is noticeable reduction in fees when you send relatively big amounts. There is an example with different amounts transferred from GBP to EUR. As you can see your actual savings significantly depend on the amount you send. Also there is a point where old and new fees are almost same or event a bit higher. I would say changes are in favour of customers in 99% of cases. On my opinion TransferWise is still one of the best payment providers and my personal choice for sending money abroad. 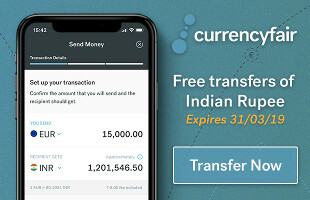 Their message “Mission 0” sounds too loud in this case, hover most of customers will see slightly better offers for their international transfers. If you got used to top up with your card you should to be ready to pay an extra 0.2% on top of the regular fee. However there is a work around to avoid extra fee by using regular bank transfer that is always free. In overall I take this change positively and strongly believe that TranferWise will do their best to keep number one position in the market.